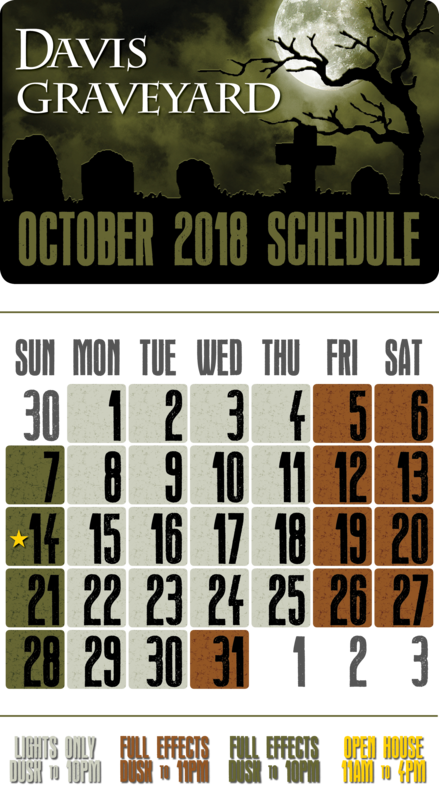 Did you know that you have a Halloween convention right here in Portland? WCHC is celebrating it’s 9th year! If you have not been to the show yet, let us invite you to attend this year. 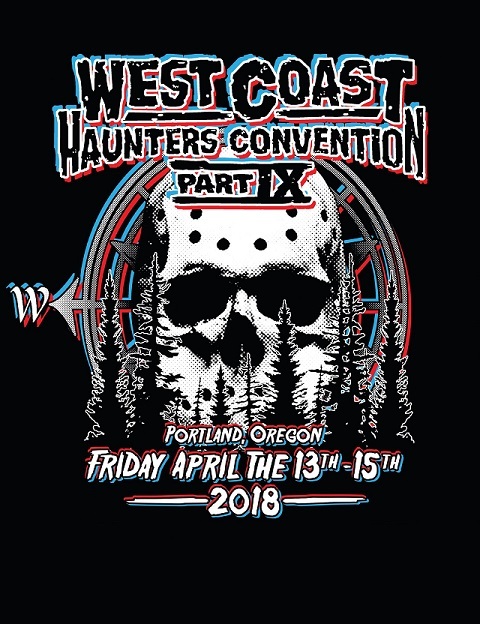 Davis Graveyard helps put on this convention at the DoubleTree at Lloyd Center, this year it will be April 13th – 14th. Click here for details. The convention is perfect for all you that love Halloween. They are offering a special this year, that gives you a discount on the tickets with a code, and for an added bonus, the more people that sign up for the show, we get free stuff. Here are the details. 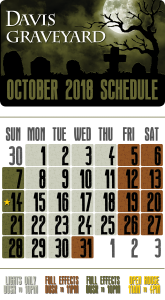 25-49 attendees use your code (25 points) – One Combo Ticket and one Room Night during the 2018 convention. 50-99 attendees use your code (50 points) – One Combo Ticket, one Room Night and $150 cash. 100 or more attendees use your code (100 points) – $1,000 CASH! If you use our code MWP671 to purchase tickets, you get a $5 discount, and we will give any of the winnings away in a drawing to our followers. As an added bonus, the first 10 people who use our code will get a Davis Graveyard t-shirt at the show (sizes limited). If we can get 100 people to use the code we will donate the $1,000 – back to the convention, which if you did not know, is a 501c3 that benefit deaf/autistic children! Come on everyone! Share this code and let’s get some free stuff for you guys. Looking forward to seeing you all at the show!! We did our annual trek to Hauntcon earlier this month to teach and visit our haunt family. 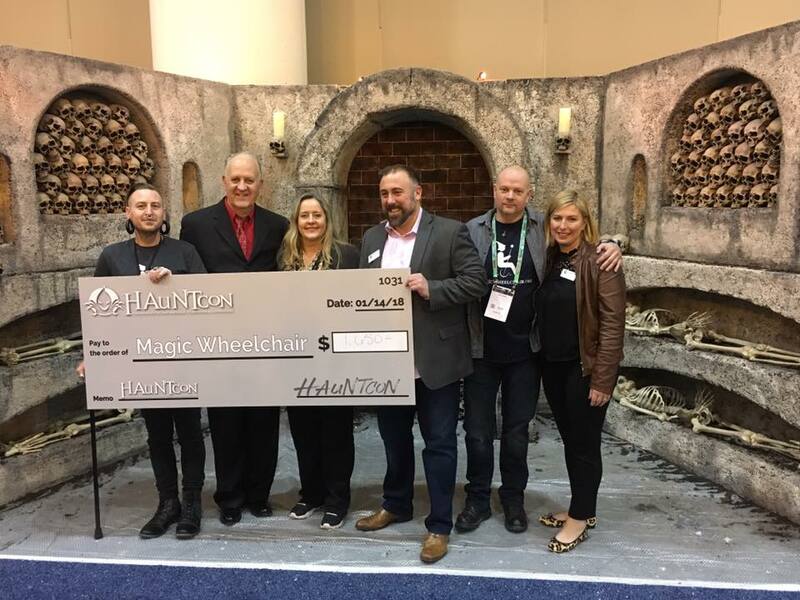 And, because we are overachievers, we decided to build a haunt scene during the show that was donated to a great charity we love called Magic Wheelchair. Here is the finished build.